– To read a book to her class, in Dutch. – To organize her 5th birthday party with a LOT of kids. 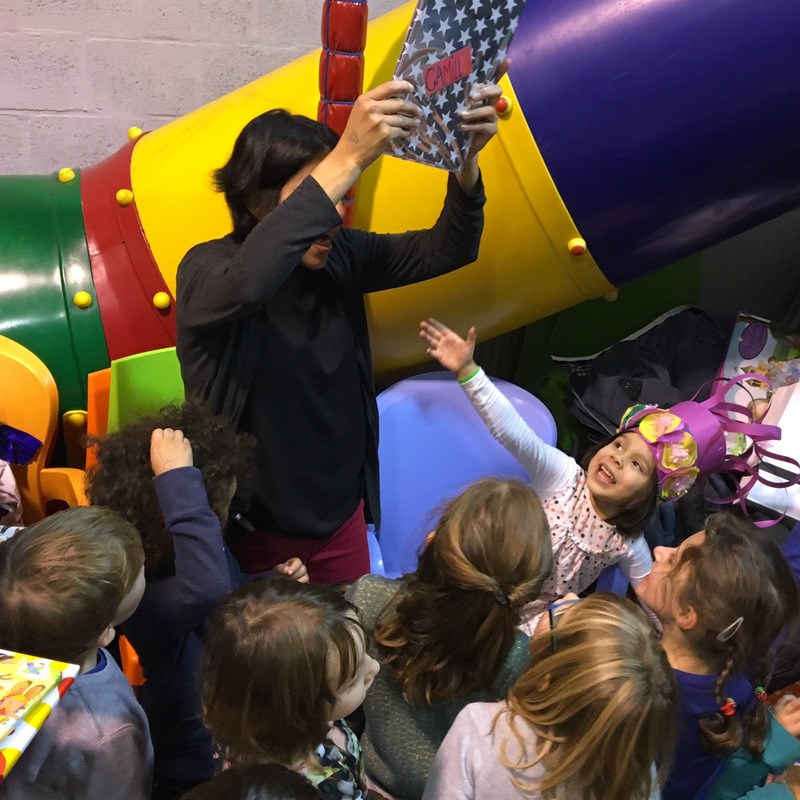 It’s not the end of the world, you might think… but if you know me, you are aware that public speaking in Dutch, to organize events and to manage more than 2 kids, take me (totally) out of my comfort zone and stress me a lot! On our way to the school, I said: “Chiquis, is almost time to read the book!“. “You are nervous because is in Dutch, right?“, she asked. I was surprised, I never told her how nervous I was and she not only noticed it, but she also knew the reason! “Don’t worry mama, inhale – exhale, and everything will be ok“. She added. 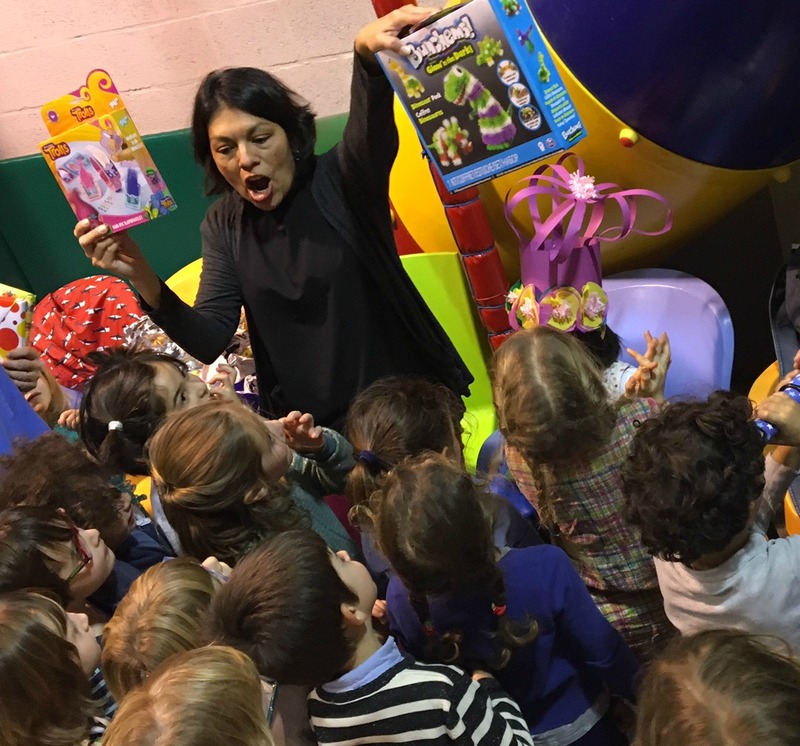 15 mins of storytelling… pretending to be a dinosaur, a dog, a kid… I was full of energy and the applause of the kids at the end made me realize that the time was up! Camila was super happy, and me… too! I couldn’t believe it, 75% of the invited kids: confirmed! 3 hours flew… parents started to arrive and I could only see happy faces when saying good-bye. Getting out of your comfort zone for the sake of Love cannot be anything else than Win-Win… TRY IT! Nuevos retos de este tipo me esperan en el 2017. I cannot wait! Lmao. 😂😂😂😂😂. I loved the last part specially.. f..k the rules and play!!! Hilarious!!! Totally! And everything worked because of that! Me encantó! Y sobre todo porque quien te conoce, la planeación y reglas son tu fuerte… pero me encantó x que esta vez quedaron de lado reglas y tooooodos lo disfrutaron al máximo! Tu cara lo dice todo, estabas más que complacida y 0-stress! Que vengan más celebraciones como éstas! Jajajaja! Me encantó… uno hace cosas impensables por sus chiquillos. Un abrazo Uds , querida Kaqui!